Note: I know that this film is a remake of a film with the same name (the Weekend name, not the other, crappier name. I have not seen the original and that is why I don't talk about it this review. I do plan on seeing the original, but if it is anything like this turd then it will be a long time before I put myself through that again. 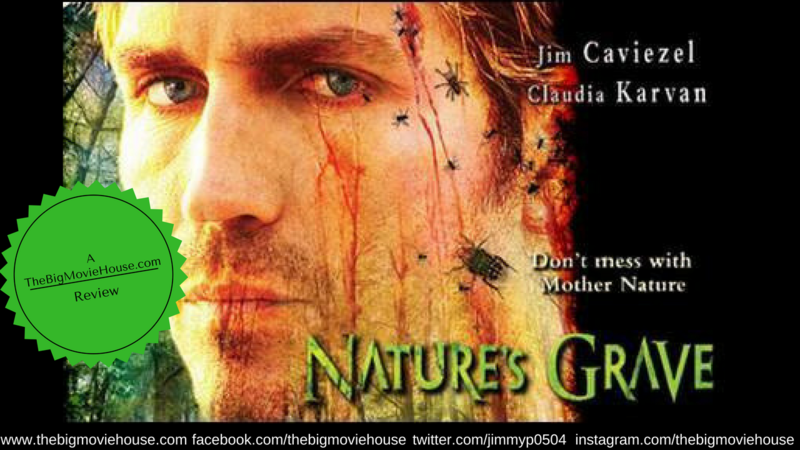 Nature’s Grave is an insufferable film. A film that does not know how to entertain its audience. The film is advertised as a “when nature attacks” film like Grizzly or Jaws, but it pales in comparison to any “when nature attacks” film. There was a film that was released in the last five years called Bear. The film was about a group of people who decided to take a “shortcut” to get to a concert or something. On the way through the “shortcut”, the group encounters a bear. For the next hour and twenty minutes the group is harassed by this bear. Of course the group is dumb and plays into this dumbness by provoking the bear. The bear jumps on top of the car and tries to smash it. The bear kills one of the dummies and the rest cry and argue about it. The story to this film is simple: A husband and wife decide to go to a secluded beach in their native (at least for her) Australia to try to mend their broken marriage. The wife doesn’t really want to go but decided that her marriage is more important than anything else at this point in time. The couple pack up the car and head to the beach. Now, the first fifteen minutes is spent on the couple driving to this beach. The scenes were shot at night and the light level is low, so anytime there is a nighttime scene so expect to see nothing. Once the couple gets to the beach things start happening. Not the good kind of happening like a bear coming out of nowhere and attacking the couple. No, they have to deal with some ants. The wife sprays the ants and that is it for the thrilling scene of the death of the ants. I forgot to tell you one of the weirdest scenes in the film. The wife wakes up on their first morning at the camp to the sound of something she has never heard before. She gets up and sees her husband during what looks like chopping down a tree. He is swinging this axe away and we are left thinking that he is chopping down this tree to make firewood. When she asks what he is doing he responds “I am cutting down this tree.” She asks why and he responds with “Because I can.” This, ladies and gentlemen, is our protagonist for the rest of the film. The rest of the film is little pieces that are supposed to become a whole by the end of the film, but ultimately go nowhere. There is a sea lion that washes up on the shore of the beach, dead. The couple go and look at it (it looks like a stuffed animal) and wonder what happened. It is implied that the couple has been throwing garbage into the ocean and this is to show the couple that what they did was wrong. I thought it was kind of funny. 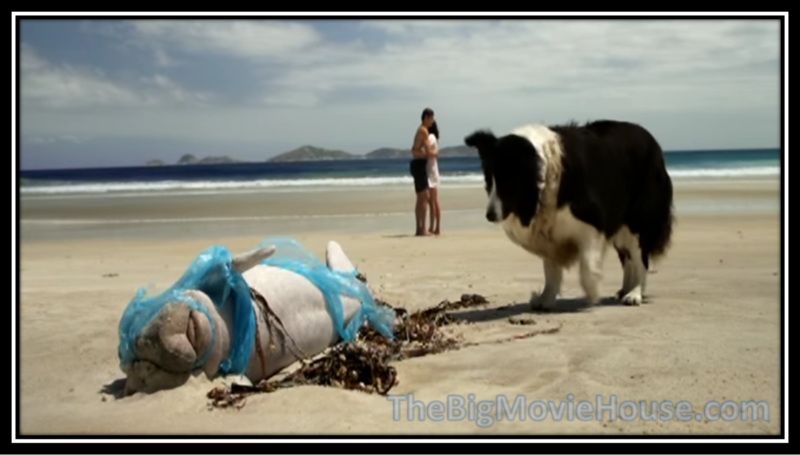 Later a sea cow washes up on shore right after a scene where the husband throws a beer bottle into the ocean. The nest day it appears that the dead sea lion has moved up the beach towards land. The wife starts to freak out and wants to leave. The husband tells her that there is nothing going on and there really isn’t. experience again. I do not want to do that. It is a shame that a film like can be made. How thought that this was a good idea. “A film where nothing happens? Take all of my money.” It doesn’t help that the characters are two of the most despicable characters I have seen in some time. There are killers in slasher films that I root for more than this couple. There is a scene early on where the husband aims his new spear gun at his unsuspecting wife and pretends to put the trigger. A scene like this shows me what type of film we are in for. The film was directed by Jamie Blanks, who made the horrible Urban Legend and Valentine, so that shows how good of a director he is. Nature’s Grave was the last film he directed and that was back in 2008. He has since made a name for himself as the editor of Electric Boogaloo: The Wild, Untold Story of Cannon Films. That film made my best of 2015 list and shows that he is a better editor than a director. The film has pacing problems, terrible acting , lifeless direction, and almost zero animal attacks. For a film that advertises that the film is a social commentary on pollution and then does nothing about it, we definitely have a winner on our hands. 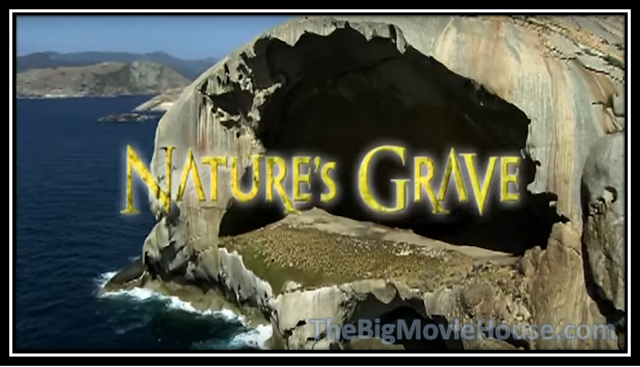 Nature’s Grave is a soulless, pointless, and just plain stupid film that expects the audience to go along with two of the worst people to grace the screen since Freddy fought Jason. I was waiting around for the entire film’s run time, waiting for something, anything to happen, and the film failed. Oh did the film fail. One more thing before I go: Look at the poster for the film at the beginning of this review. None of that happens in this film. If it did I wouldn't have been so mad. I would have been able to watch the two leads get eaten and that would have made the film so much more interesting and, ultimately, satisfying.